The first time I heard Amadou & Mariam was in 2009. Their album Welcome To Mali had been extremely well received, but flew under my radar for about a year. I picked it up pretty much blindly after someone told me I should check it out. No explanation of what kind of music they played or anything else, just to listen to it. By the time my ears got to “Ca N’est Pas Bon” I was totally hooked. They have complete love for what they do, and that kind of thing is infectious in their recordings. I must have listened to that record fifteen times in the first few days I had it. I still knew nothing about the people playing the music-only that they obviously spoke french and had a complete understanding of more music than I could fathom. As I dug deeper I learned all kinds of things that just made me love them more. Amadou & Mariam are both blind. Have been since a young age. They met at a school for the blind in Mali where they both played in the orchestra. They’ve been married for 30 years. Oh yeah, and they’re both almost 60 years old. Listening to the music they play, I would never have guessed that they were any older than me. If anything I would have assumed they were younger. Everything seems so fresh, like every note is being discovered for the first time. It’s a beautiful thing. I didn’t write about music back then, but if I did Welcome To Mali probably would have been in my top 3 albums of the year. There are few records of the recent past that can match it’s ability to be both powerful and fun. One of those records you can just throw on at any time and enjoy it on multiple levels. It’s been four years since that release, and finally we have been given a new record to enjoy. Folila is somehow even better than their previous effort. I didn’t think it would be possible, but their blending of genres and the guest artists that they brought in raises this album way above my expectations. If you’re not the type to listen to “world” music, this may be a good place to jump in. Most of the album is in french or bambaran, with the english only coming in when one of the guests is a native english speaker. And yet the music is so enjoyable that the failure to understand the words doesn’t really effect one’s ability to appreciate the songs. 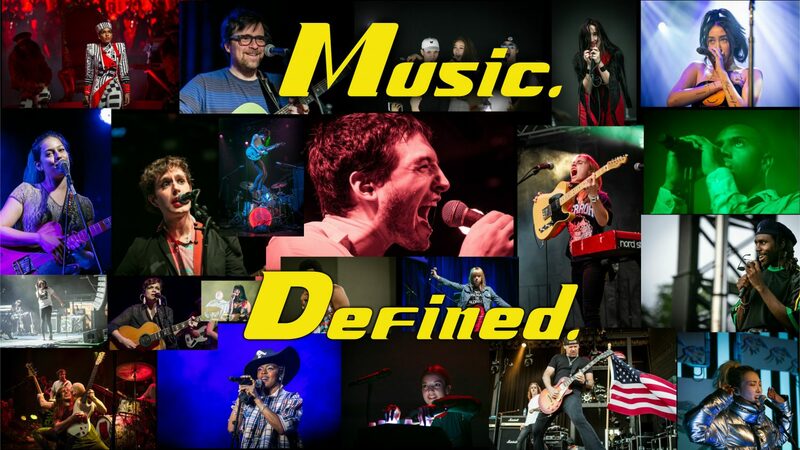 They are as more about feeling the music than deciphering every syllable. The album features some pretty hip artists, including Santigold, members of TV On The Radio, Jake Shears of Scissor Sisters, and Theophilius London. The lead single “Dougou Badia” features Santigold singing the chorus, and this is one of the better uses of the featured spot. The worst one is Jake Shears on “Metemya.” His voice just doesn’t match up with the rest of the song. It sounds like he was recording something for a SS record and then sent it to A&M by accident. It might even be a sample from Night Work for all I know. It’s nice to hear all these collaborations, but really the main draw is Amadou. His guitar work is top shelf, and the way it blends with everything else is really amazing. The one spot where the featured artist really helps the track is toward the end when Theophilius London thrusts his Brooklyn swagger on “Nebe Miri.” London is an artist who embraces the genre-bending curiosity of Amadou & Mariam, and this song may just be the highlight of the whole album. 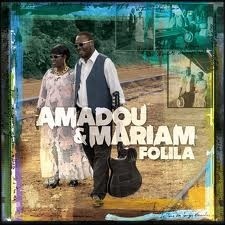 Folila, like previous Amadou & Mariam albums, is not a grower. If you don’t like it on the first listen you probably never will. The good news is that the chances of you not getting into it are pretty slim. All of their records are, in some way, about love-giving love, receiving love; whether with another person or a higher power. In a world as cynical as ours, we need the Amadou & Mariam’s to remind us that there is still beauty to be found, even if we can’t see it. Pingback: Scissor Sisters-Magic Hour « Music. Defined.